Notes: Kennels that have been modified or colored are custom kennels and cannot be returned. Thank You. 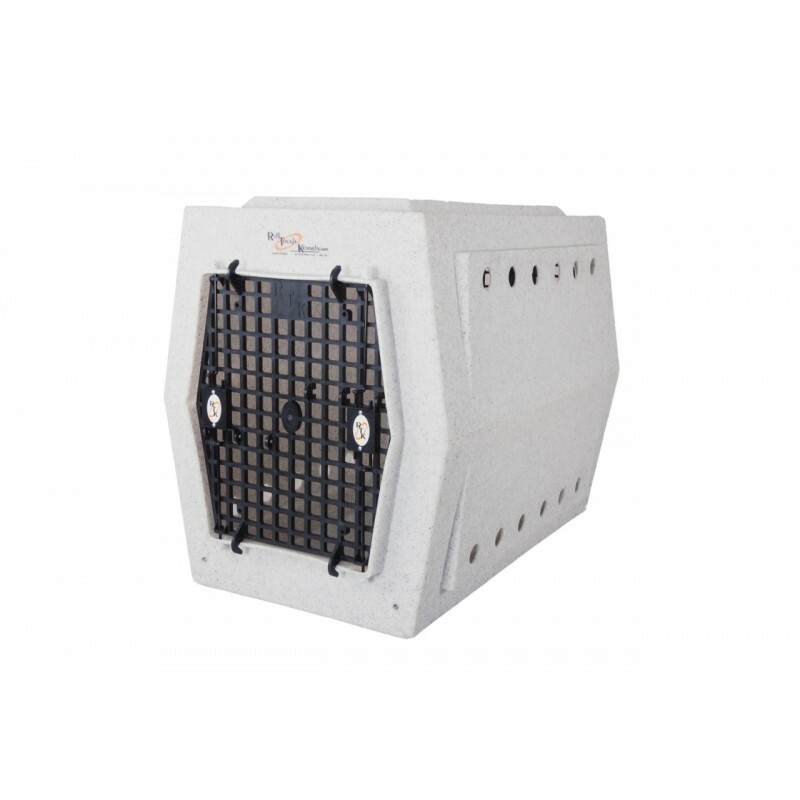 Our Large kennel with a second door is definitely a popular Ruff Tough Kennel. It increases ventilation. 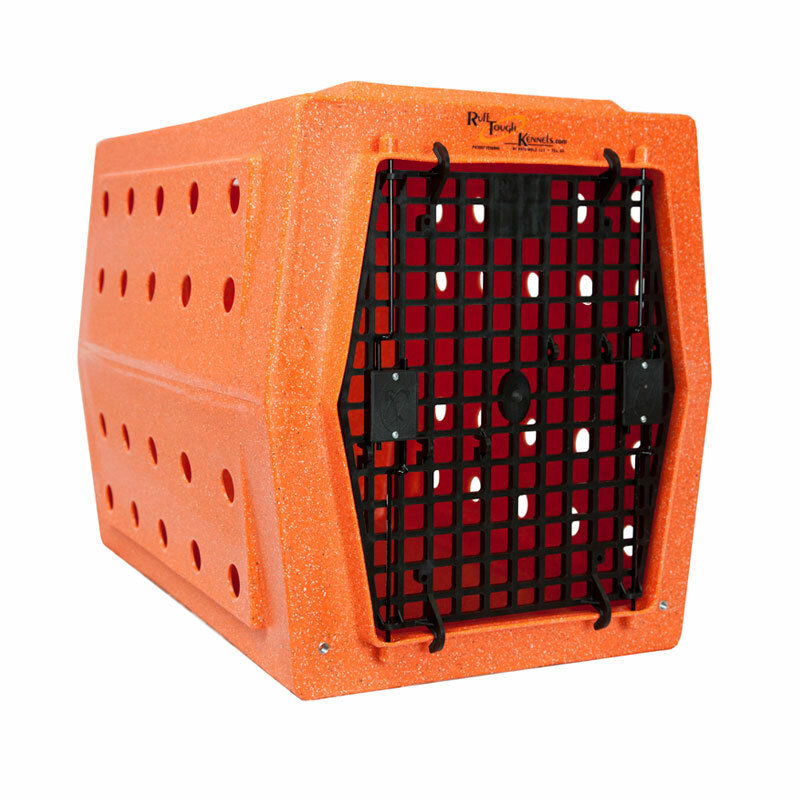 It increases the number of places you can put the kennel in your car or SUV. It makes your dog happy too because he or she has an extra window to look out of. 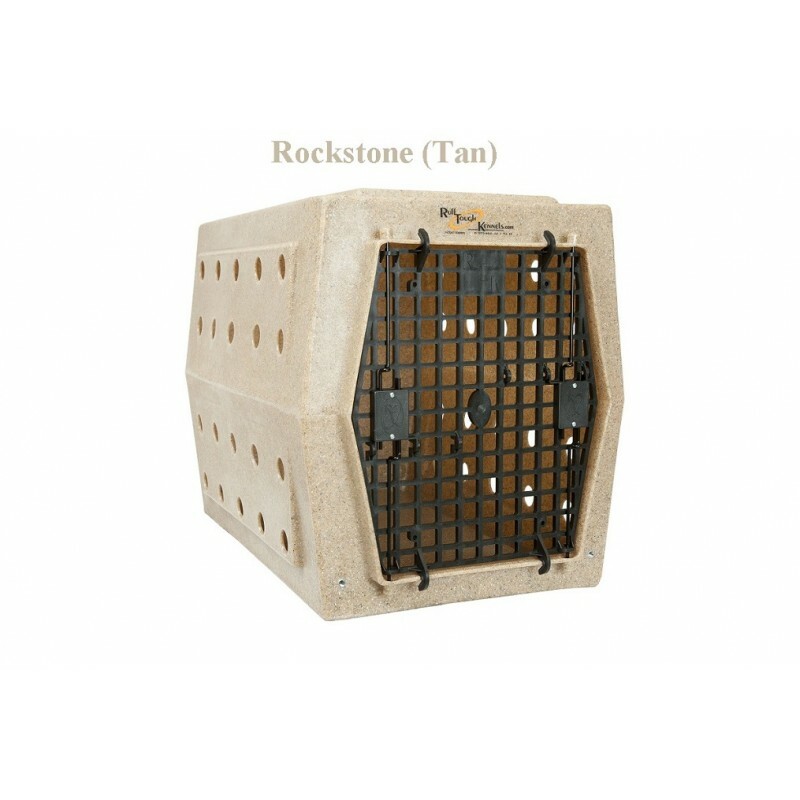 The Large Ruff Tough Kennel can be stacked like almost all our models. 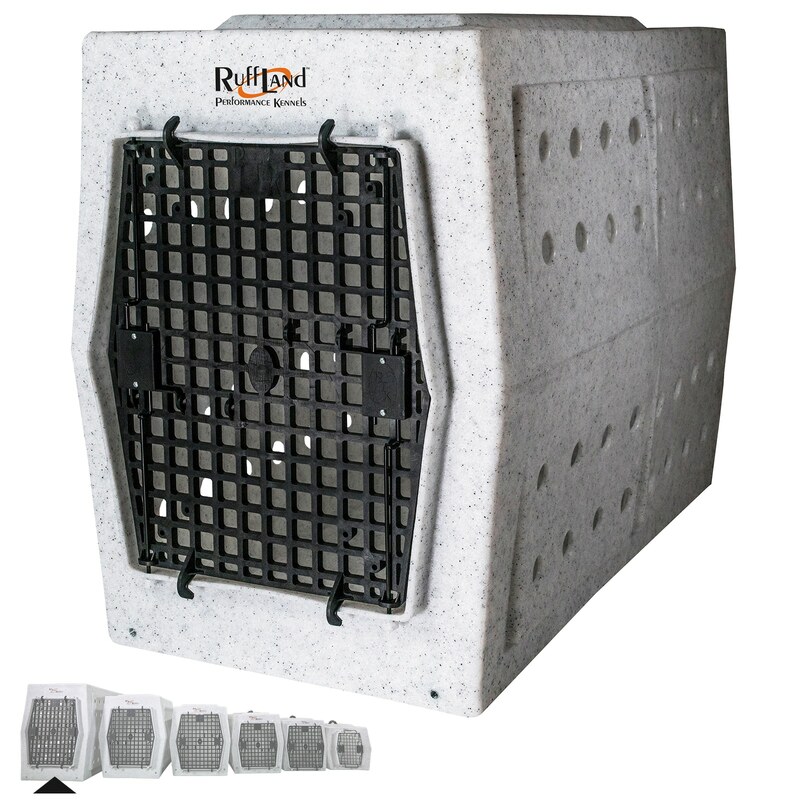 It has the standard features such as the raised floor for keeping your dog dry. The vent hole pattern displayed comes standard (1 3/8") with two finger holes in the back. 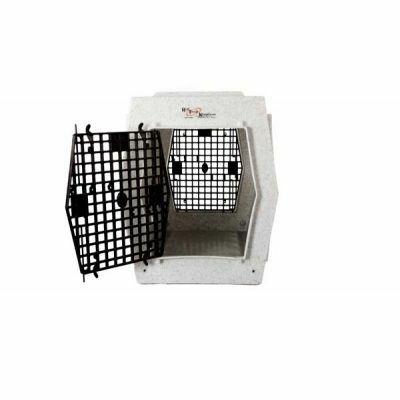 Check the drop-down menus should you wish to add vent holes to your kennel.